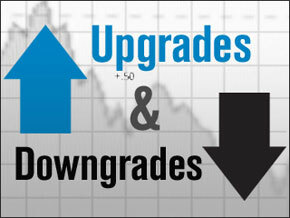 Plenty of upgrades/downgrades today that should move some popular stocks including GOOG, LNKD, PCLN, JPM. We have some earnings movers as well. $FSLR is tumbling, TGT is down post earnings, PCLN is up, and ZAGG is higher by roughly 10% Here are this mornings upgrades/downgrades: 0837 EDT KBH KB Home reinstated with a Buy at…Please subcribe to read more.